While colour coordination is vital to a successful home redesign, it’s important to know when enough is enough. Monochromatic looks can be successful at times but only when done extremely tastefully. All too often you’ll be left with a room that looks like a tacky 80s TV set. It really isn’t necessary to match every bathroom appliance from showers to toilets in the same colour. Just don’t do it! For a stylish bathroom, browse Mira showers for a sleek-looking shower. The photos are inspiration to help create beautiful spaces. 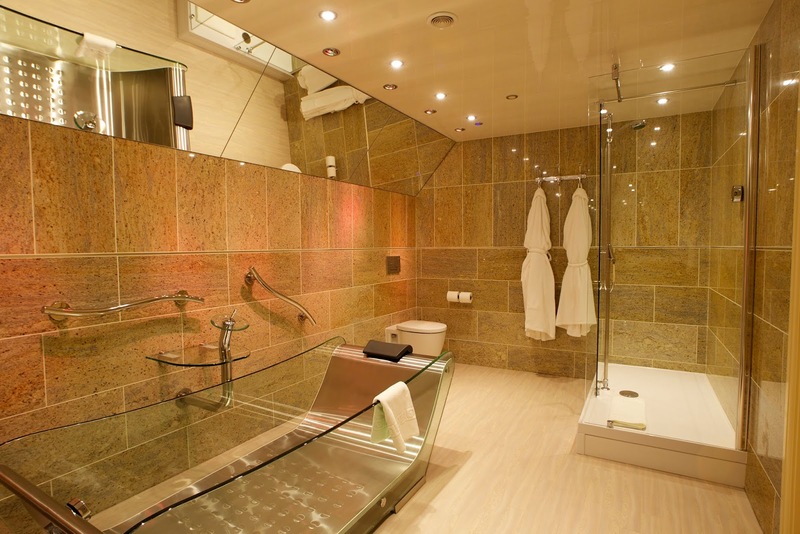 This is a stylist modern bathroom. While you may think placing your furniture at quirky angles is a good idea, oddly positioned furniture can look like you haven't finished redecorating. Always make sure the furniture you buy fits into the space you have. Beautifully arranged below. 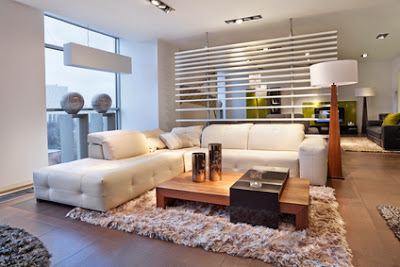 Opting for uber-minimalism can work in very select cases, normally when the theme is implemented throughout the house. Creating a stripped back look in one room can create a cold and unwelcoming atmosphere. Try to follow this look all throughout your home. Nothing says 90s like a textured ceiling or wall, such as popcorn ceiling. To achieve a modern look, it’s essential that you keep all walls flat and plain. Floral prints are a tough design motif to pull off in the modern age. All too often it can make your home feel like tacky. Using floral prints can however work when done tastefully. Covering one wall with large and detailed prints can work to great effect, as this creates a focal point for your room. If you want to create a room that dates instantly, cover your room in carpet! Alternatively if you want to create a modern space, using large rugs and carpets to cover the space will add a dynamic feel to the room. Notice the gorgeous rug? Themed rooms are one of the quickest routes to achieving a home decorating fail. You may have indeed gained some inspiration from your holiday to Morocco, but this isn’t reason enough to deck your entire living room out like a luxury riad. Successful home decoration projects create something new that work within your entire home. Variety is indeed a spice of life, but applying this to a home decorating project will often result in failure. Successful projects should be about harmony. This means updating any furniture which no longer works or no longer makes sense in the space. You’ll thank me for this piece of advice later! This space below is gorgeous. When working with smaller spaces, it can be all too tempting to shove sofas and furniture against all available wall space. This rarely works, and often results in a space that is antisocial. Think about how you and your friends and family would use the space. You don’t want to be shouting at each other across the room! Here's a good example below: Easy conversation can flow perfectly with your guests. Once you’ve got all the furniture in place it can be a tricky task finding where to put the TV. Avoid mounting the TV above the fireplace – it will only result in a confusing looking living room and severe neck strain! Try this trick..hang your tv in a frame. You can always find a frame at the thrift store. So there are our 10 worst decorating ideas. Beware of them when you're planning your next redesign at home! 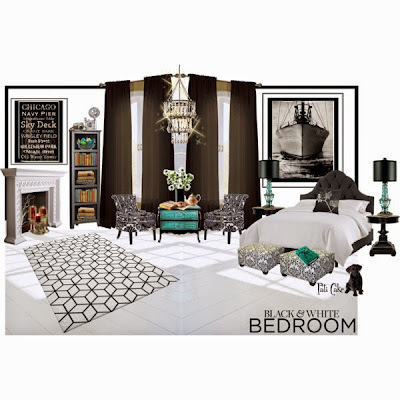 Totally agree with themed rooms! I have seen some doozies!! What great tips, Linda! I laughed about the themed rooms! I've seen many! Thanks for all these tips!! Great info, Linda! Suddenly I'm feeling like a dang genius. My husband argued at length about the smooth ceilings (and walls) I wanted. I won. He argued at length about the carpet HE wanted. I won. No carpet. Just rugs. :) Your "pattern play" room picture shows yellows and grays...the colors in my new living room! There was no way I was putting the TV above a fireplace. I can't stand that look, plus, what most people don't understand, is that it's completely incorrect placement for when you want to watch TV. The TV should be much lower than that. Those are the biggies. We're still working on the house and I won't be getting around to really finishing out the house for quite some time, but I've certainly learned a lot after the last couple years of decorating research! These are spot-on! Hi Linda, I have seen the TV framed like this before and it is a great idea when there is no anchor for it. Being an ID and stager, I agree. Thanks for sharing. You've got lots of sylish ideas! We you a proffessional designer at some point? Those were fun, Linda! I agree with you on everything - especially the tv - way too high at that height! Themed rooms are good at hotels - one night only, lol. I really like the idea of framing the TV! WE considering getting rid of the TV armoire in our master bedroom in favor of mounting the TV on the wall to allow for more floor space. I've held out because I want the TV to "disappear" in the room when not in use. The framing thing might be the solution to that! Thanks! Great advice, and fun solutions.You really know you stuff!